Lightweight, transparent glass structures, inconspicuous brackets that are practically invisible and an entire system with general technical approval – this is our solution to your wants and needs. 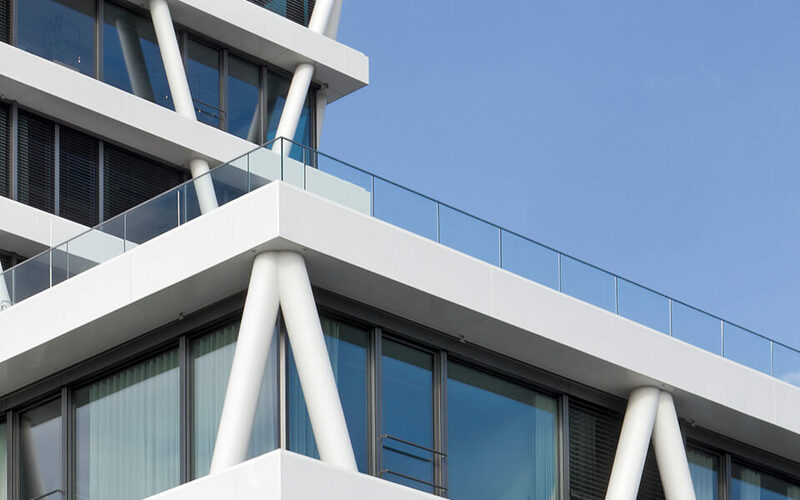 The innovative and high-quality GLASSLINE systems combine design, safety, quality and functionality to implement projects with even more transparency and efficiency. Thanks to the appropriate test certificates, the systems meet all building approval requirements and can be used immediately. 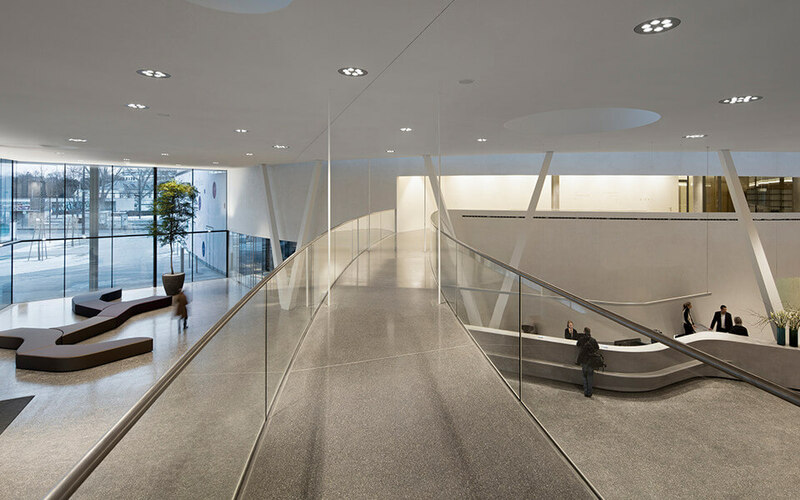 Discover how you can create added value for your demanding glass architecture. Perfection in frameless architecture. 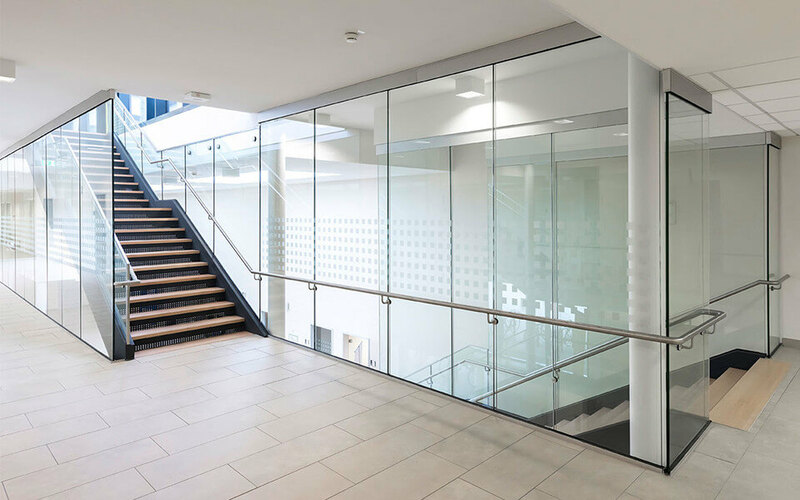 The preassembled BALARDO firstglass clear glass edge is redefining transparency in all-glass railing systems! BALMERO is a an elegant and inexpensive lightweight solution for French balconies – with and without glass projection. Fall-proof vertical glazing is glazing with a maximum incline of 10° from the vertical. Wind and privacy guards made from glass are used on entrances to houses, cafés, beer gardens, restaurants and spa areas outdoors or on balconies and terraces. 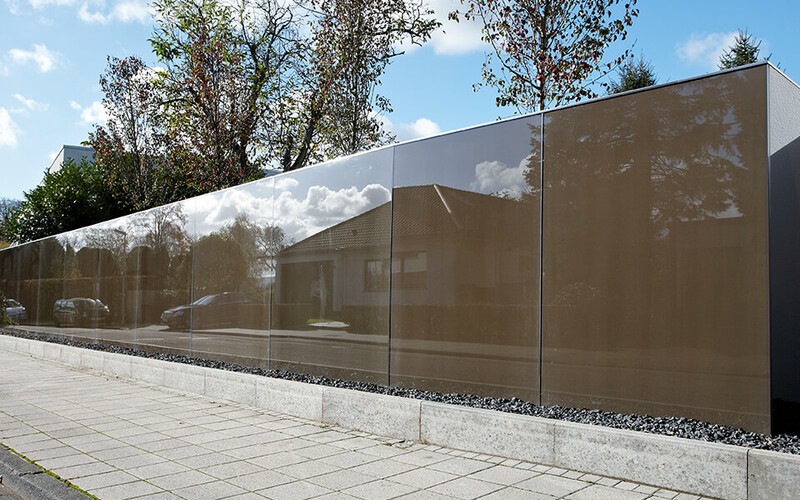 GLASSLINE offers you safety and aesthetics at the same time. Floor-to-ceiling glazing with a fall-proof function combines maximum brightness with maximum safety. Floating structure and bridges that support and extend the curved glass architecture. Do you have questions, or would you like a quote or specific information? Then please get in touch – we will get back to you as quickly as possible. Benefit from a direct line to our specialists. Send us a brief e-mail. We will get in touch as quickly as possible to arrange a personal consultation, either by phone or in person.